Joomla is a platform to build user-friendly and mobile-ready websites for the growing global community of mobile shoppers and Internet users. 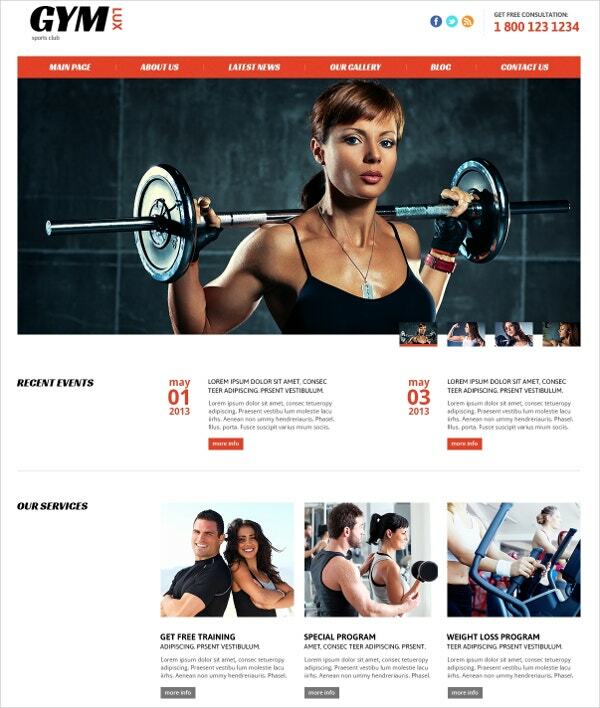 Fitness studios, gyms, physical trainers, and others who want to reach out to their audience in effective and profitable ways can use Joomla to build websites that are attractive, responsive and offer great functionality. You can find a suitable Joomla fitness template created by a professional designer to make your task of building the website easy and quick. 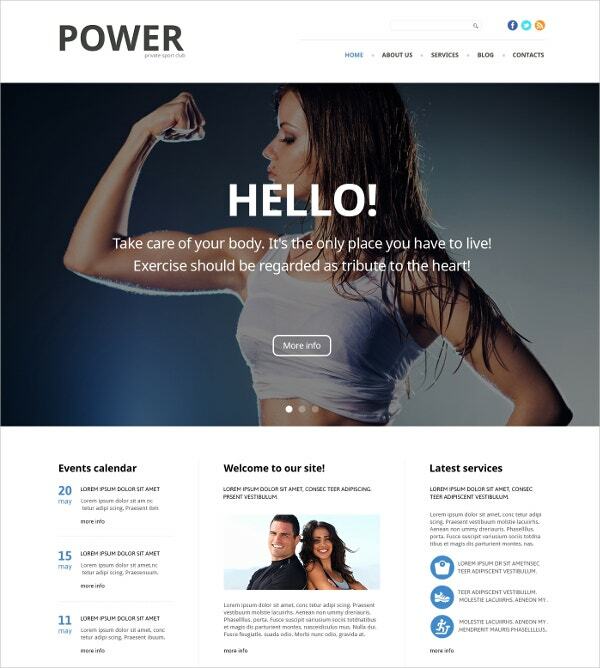 You may also see Health Joomla Templates. The Fitness Club for Profit Joomla template is built on the Bootstrap 2.3.1 version and coded with HTML5, CSS3, Semantic Code, and JQuery to give it dynamic, modern features. Template features include an animated portfolio with filters, custom page types, advanced commenting system, advanced navigation, easy installation and plenty of module positions with Google Map, Google Web Fonts, Dropdown menu and more. You can also see Diet & Nutrition Joomla Templates. The Young Fitness template is a responsive Joomla template for fitness clubs, with bold colors and high contrast that appeals to the eye. It comes with the Phoca Gallery and modules to display YouTube videos or images, multi-slideshow feature, two homepage options, six color styles, TZ Portfolio, Layout Builder, Mega Menu and more. You may also see Spa Joomla Templates. 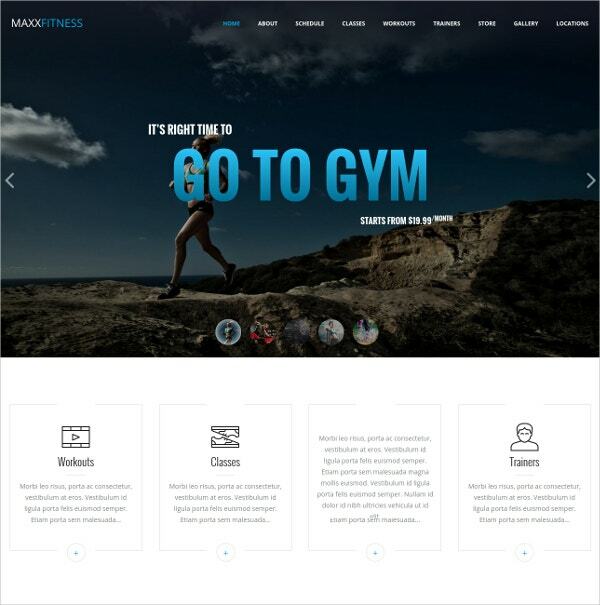 Gym for Health and Beauty is a template with a clean appearance and easy-building features based on HTML5, CSS3, Valid Coding, Semantic Coding and JQuery. Features include alternative module layouts, bundled modules to enhance the website, quickstart package, social options, sample content and stock photos, Google Map, Favicon, Google Web Fonts, a blog and gallery on the Isotope script. 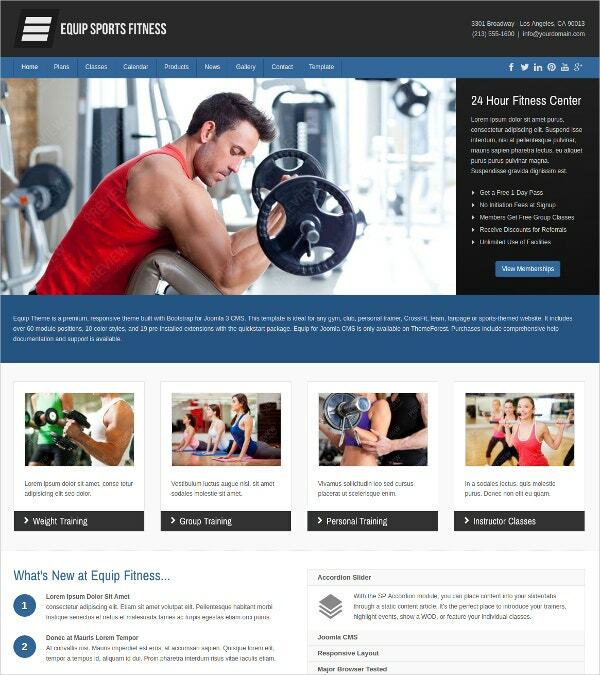 The Equip Joomla Sports and Fitness theme is a dark theme on Bootstrap, for fitness clubs, CrossFit teams, fans or sports pages. It comes with more than 60 module positions and 19 extensions that come pre-installed. Other features include 10 color styles, responsive video and image slider, contact form, Google maps, latest tweets, gallery images, AddThis custom code, random quotes, PSDs, social icons and detailed documentation. 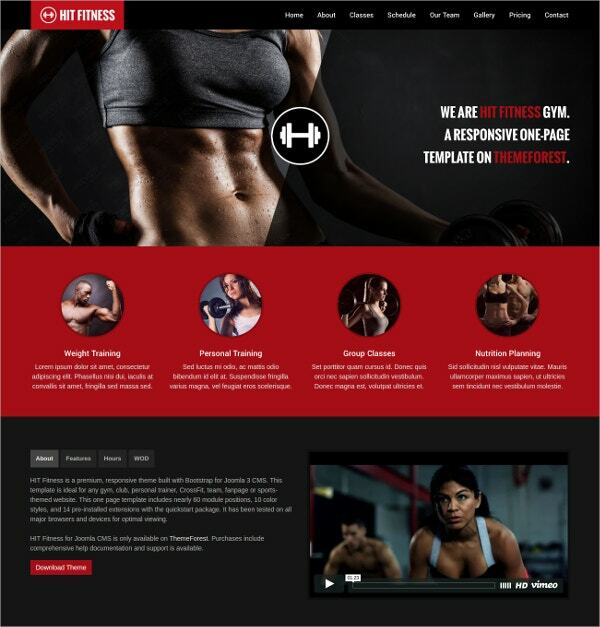 Fitness Responsive template is 100% responsive and wide, built on Bootstrap and offering search engine friendly sites that you can build with commenting system, alternative module layouts, a drop-down menu, quick start package, Google Web Fonts, social options, sortable gallery, contact form, tag clouds and more. Two-column layouts are supported and the admin panel makes site-building easy. 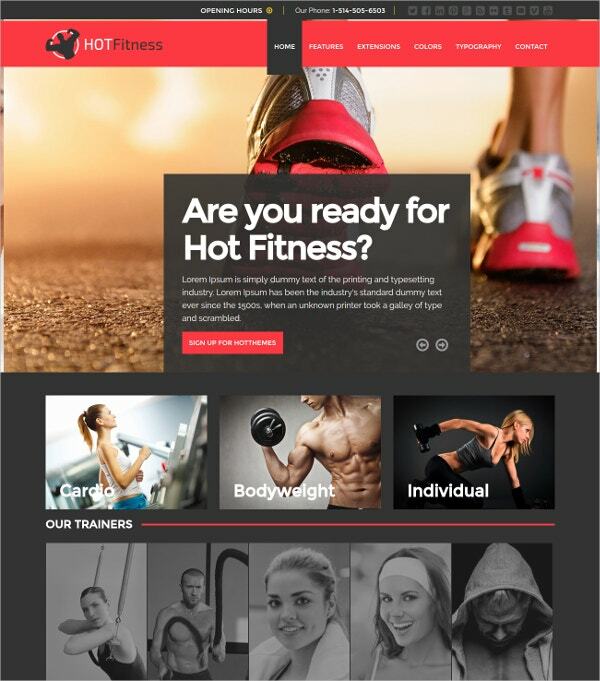 Hit Fitness & Gym One Page is a bold dark theme that lets you build one-page websites on Joomla 3 CMS with responsive layouts that seamlessly adapt across devices. The template creator offers 14 extensions, 10 color styles, over 60 module positions quickstart installations and other features to get you started. Akeeba Backup installation, Google Maps, Contact Form, Custom pricing tables, skillset stats and other features are included. 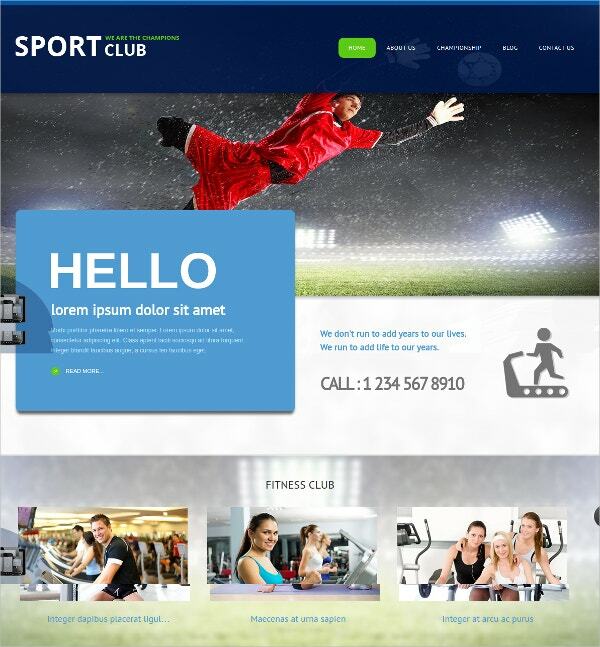 Sports Club theme for Joomla is a clean light and dark blue theme on Bootstrap, with fully responsive layouts enhanced by CSS, HTML5 elements, and grid system. It comes with 20 fully collapsible module positions, over 40 Google fonts, 10 Web Safe fonts, responsive menu and slider based on AS framework, Phoca gallery, Google Map plugin, PSD graphic sources, plus free updates for a year and more. 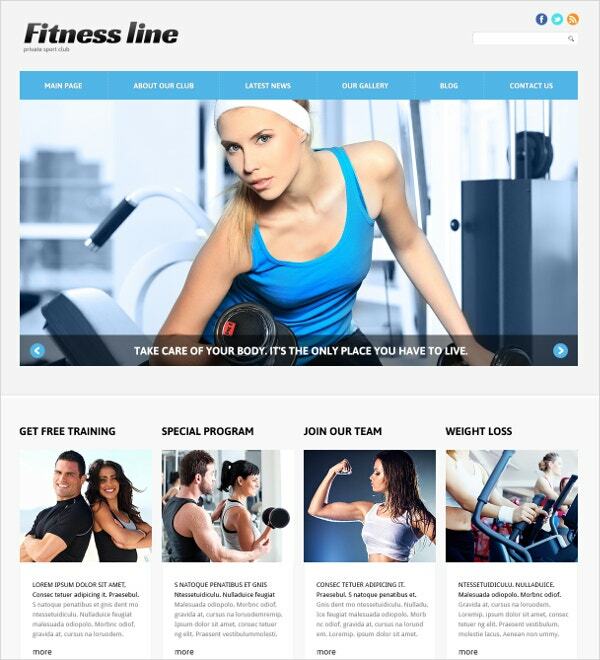 Fitness Center is a responsive and attractive theme specifically designed for gyms and sports clubs to create sections such as classes, schedules, special programs, contact areas etc. The template is built on the Vertex framework with Shape5 extensions including S5Masonry, S5Tab Show and S5 Image, 104 collapsible module positions, a custom highlight font, stylized floating menu etc. 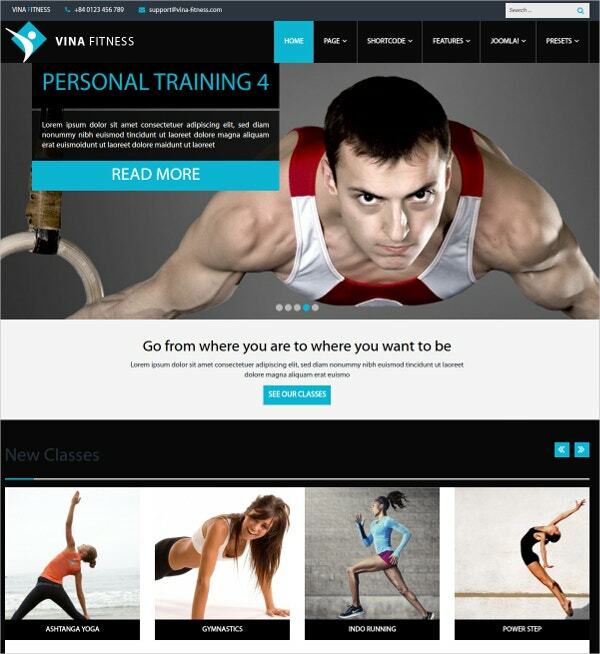 Vina Fitness II is also for trainers, fitness and health professionals, with a dark template design that be customized by both beginners and expert Joomla coders. Features include Font Awsome, 4 style presets, layout builder, support for shortcodes, mega menu, RTL language support, rich typography etc. on the Helix framework, which helps to create responsive templates for Joomla. 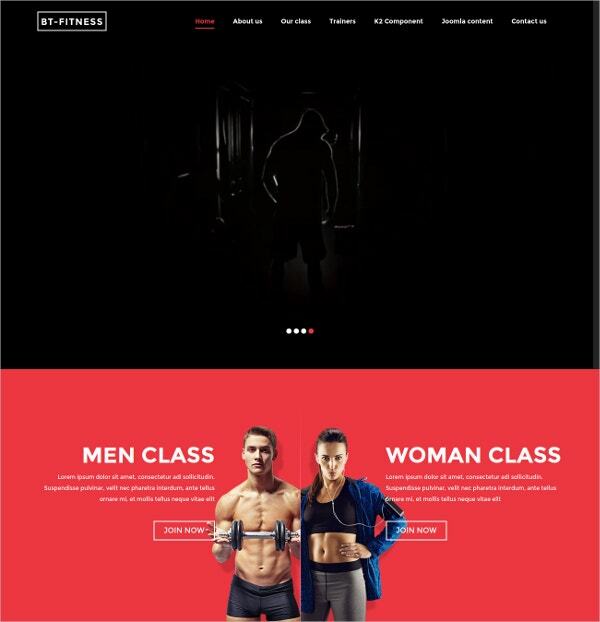 Maxx Fitness is a responsive template with a minimal design that lets you customize classes and schedules with over 50 module positions, Google fonts, quick start demo package, cross-browser compatible etc. and compatible with Bootstrap 2.3x. It has pixel perfect design for retina-ready viewing on devices with higher resolutions. Detailed documentation can help navigate the template. 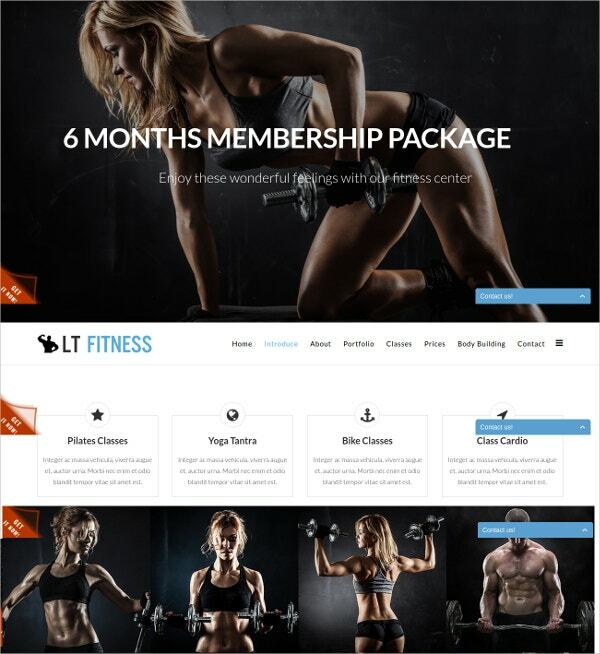 The LT Fitness One page theme is a free Joomla theme you can use to create a responsive website with clean and minimal design. Features include 6 color schemes which can be customized with the drag-and-drop color settings, visual editor, shortcodes, unlimited module positions, all at no cost. The free version doesn’t come with the quickstart package, dedicated ticket supporting system and some other features in the premium version. 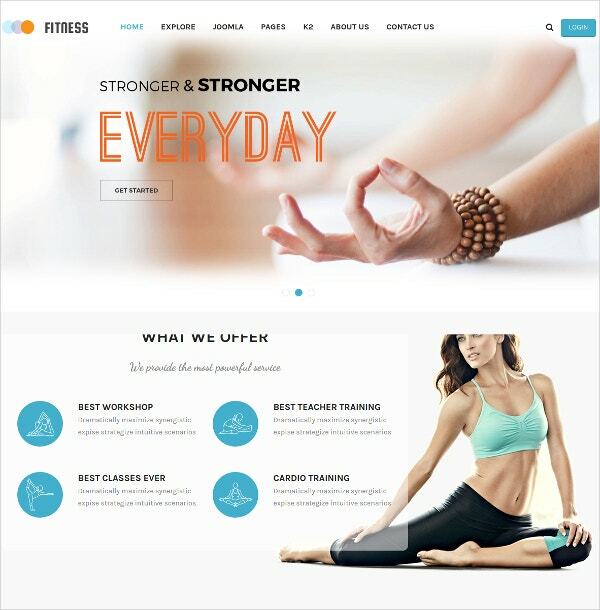 SJ Fitness Yoga Center template is a light, beautiful and soothing template that is ideal for yoga professionals to showcase their services. It is built on the YT framework with K2 component and comes with features including four layouts (wide, boxed, framed and rounded), mega menu, 6 color styles, over 65 shortcodes and more. 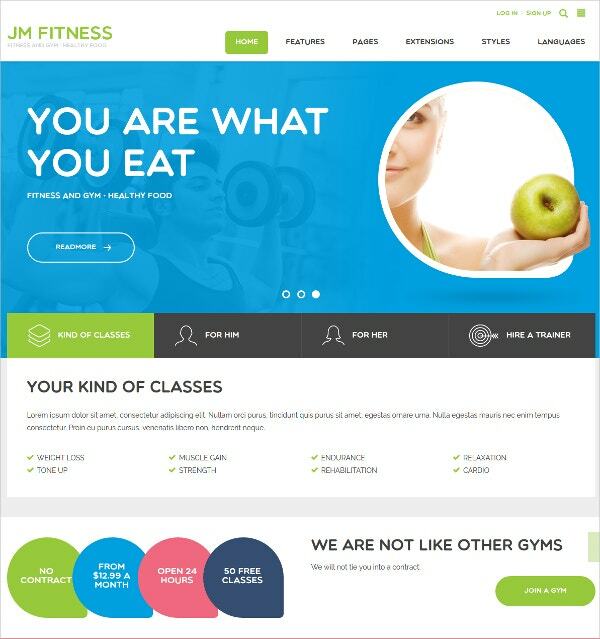 JM Fitness is a bright fitness template on the EF4 framework, that lets you create a responsive site with portfolio, services presentation, galleries, sliders, layout builder, unlimited color, logo uploader, favicon, sticky top bar, Web Safe and Google web fonts, fluid or boxed template, over 48 module positions, multiple menu styles, web forms, custom coming soon, pricing table and custom 404 pages and more. YouFitness is a stylish light theme with a sophisticated color scheme that comes with 6 styles, 4 background options and more. It is built on the Yj Simple Grid and offers a mega menu, advanced template admin, built-in SEO, responsive design with custom shortcodes, over 600 Google fonts, YJ News Slider 10 and more. The standout feature is the lightweight 91KB size of the template with only 6 images. 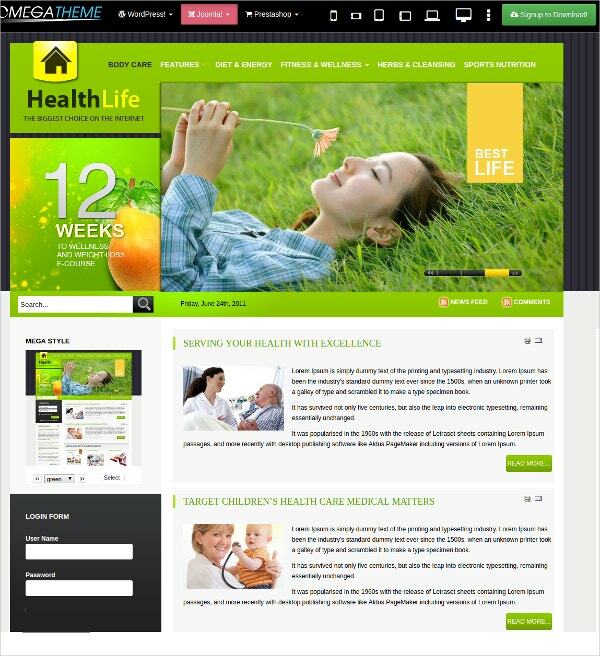 OT HealthLife is a well-organized health and fitness template which will let you create informative websites in the areas of weight loss and health, or your fitness professional website. It is a 100 percent Tableless design with 15 module positions, four colors, Quickstart package, Banner slider, Mini news module, Menu and more features. Bodyworx Template is a responsive light template with attractive colors that can be customized with sections for events and classes with calendars, picture galleries, RTL support for non-English audiences, K2 ready, PSD sources that can be easily modified and a quickstart package to get your site started and running in a few minutes. BT Fitness is a striking dark and modern theme ideal for power sports, with features like advanced parallax, background slideshow, shortcode system, BT Portfolio features with classes and fitness trainer areas and more. Plugins include Google Maps and BT Quick Contact; K2 component support, unlimited colors, Google fonts, icons, PSD sources and the latest Bootstrap 3 support makes this a cutting-edge theme. Fitness Template by Hot Themes uses bright, trendy colors and 3 suitable color schemes for professional fitness studios and gyms. 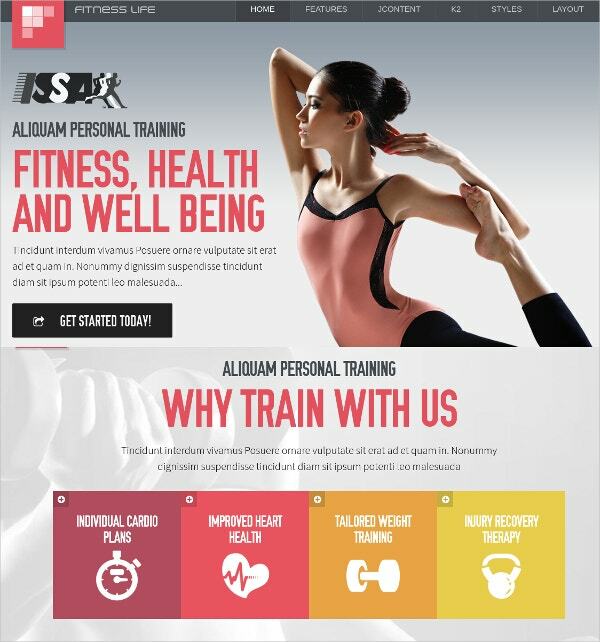 It is a responsive template that lets you integrate modules such as gallery to showcase your fitness facilities, slideshow modules, location, working hours etc. Features include drag-and-drop layout editor, maps, lightbox, film tape, slicebox, carousel, SQL dump, PSD source file and fonts, 19 module positions in demo plus unlimited module support and more. 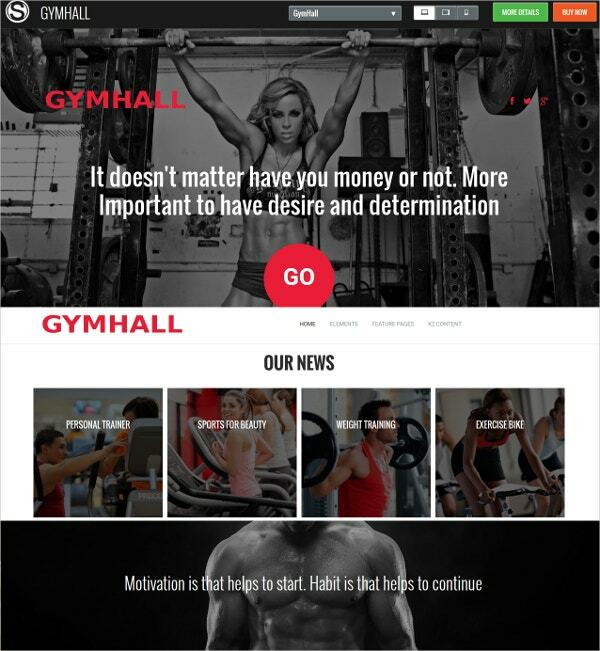 GymHall is a modern sports template with dark colors that adapt responsively to mobile formats and the image gallery also looks great on any device. Features include quick start package, JQuery effects and animations, Twitter bootstrap for quick shortcodes, working contact form, Google fonts, cross-browser compatibility, K2 support, location map and more. 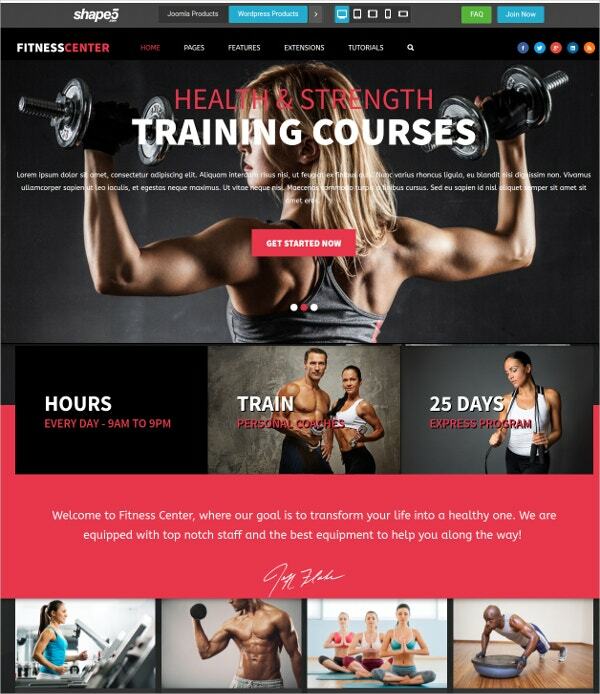 When choosing a Joomla template for your fitness studio, gym, sports club or other training institutes, look for themes that come with the highly functional classes and events modules. 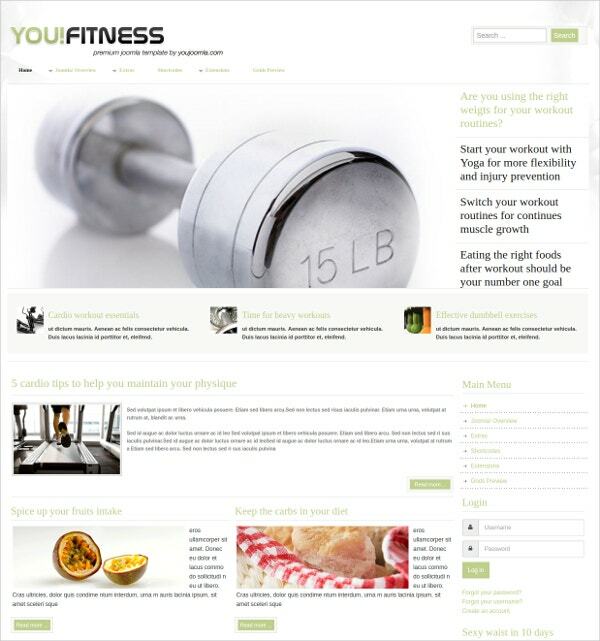 For all professional fitness sites, responsive and retina-ready themes that look great on any device are a must. Additional dynamic elements like parallax, image sliders, and unlimited sidebars can enhance user experience.You can also see Massage Salon Joomla Templates.